It all started with the dream of owning my own business and a love for arts and crafts. I've run many little side business but my dream was always bigger. I started out looking to better my manicure skills and started a love affair with nail polish. When you start to dream of colors, glitters, jellies, and creams, do you think you're crazy or do you make those dreams come true? Little did I know what my heart and mind had planned. That's when I discovered Indie Polish. I purchased sample mixes and formula and the party began... Party Girl was soon born. Having a custom made/handmade nail polish made from the heart is what inspired me to create this line. 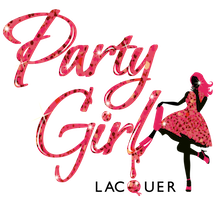 I hope that you enjoy Party Girl's line as much as I have enjoyed making it for you.